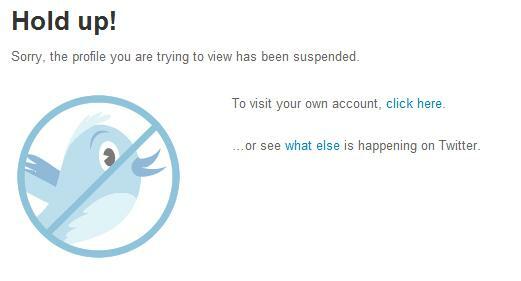 This morning I was alerted by my Twitter friends that the official Spotify account on Twitter had been suspended. This is the first time I have seen that a Verified Account has been suspended. I haven’t found any explanation on Twitter to why this has happened but will follow the developement closely and update as soon as I hear anything. With more than 65,000 followers on Twitter, Spotify is the Swedish company with most followers. The account should be back up and running shortly. Twitter alerted us to some technical issues that we’re working with them to sort out. All our twitter followers can look forward to our tweets again soon. From a brand/follower perspective it’s not a very clever use of ‘suspended’. Being suspended is normally associated with a punishment connected with some kind of wrong doing. As Hans has shown by his reaction and blog post, alarm bells ring when you see “suspended”. @Andres, thanks for the update. I think many fans were worried there for a while. Hope you get the account back up soon. @James, I agree with you 100%. Spotify is back on Twitter again.